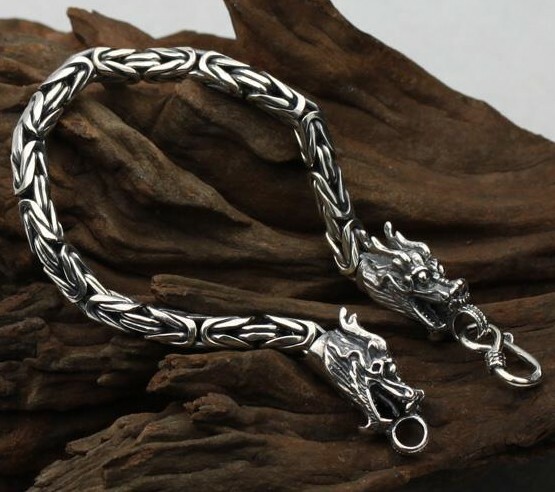 Handmade Tibetan Sterling Silver Longevity Dragon Bracelet. This longevity dragon bracelet was handmade in Thailand from sterling silver. 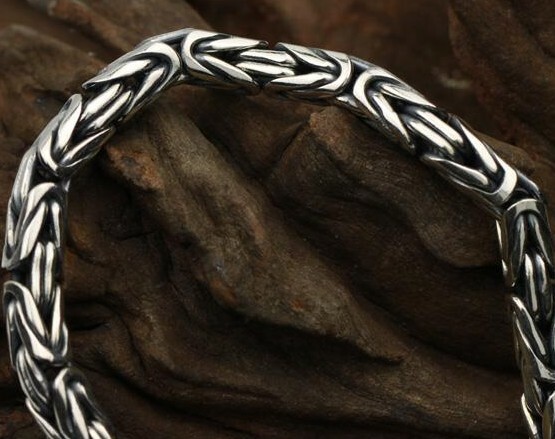 It is believed to draw wealth and keep healthy by wearing these sterling silver dragon bracelet. The Chinese dragon is the highest-ranking animal in the Chinese animal hierarchy, strongly associated at one time with the emperor and hence power and majesty (the mythical bird fenghuang was the symbol of the Chinese empress), still recognized and revered. Width: 7mm. Length: 190mm - 220mm. You may contact us for customer-made length. Weight: about 44g. 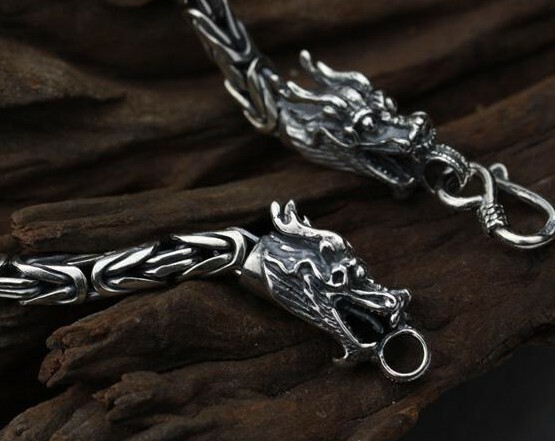 Silver Good Luck Symbol Dragon Necklace Pendant.